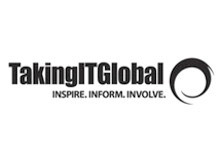 TakingITGlobal is the world’s largest online community of youth interested in global issues and creating positive change. I am a freedom-centered leader because I believe that each and every one of us has incredible gifts, talents, and passions to both share and discover. When we are free to explore and express our ideas in an environment that nurtures and cultivates our individual and collective potential, we are creating foundations for resilience and adaptability that are essential to the success of any organization.